For probably the past year I have been thinking I could use a better way to carry my yoga mat to and from classes. Especially in winter, it is a bit of a pain to try and juggle the mat, water bottle, purse, and whatever else I happen to have with me. But I just could not bring myself to pay upwards of $15 for what amounts to a piece of rope and two seams. Hello I can do that myself in about ten minutes and will cost me about $5 in supplies, max. So off to Joanne’s I went! 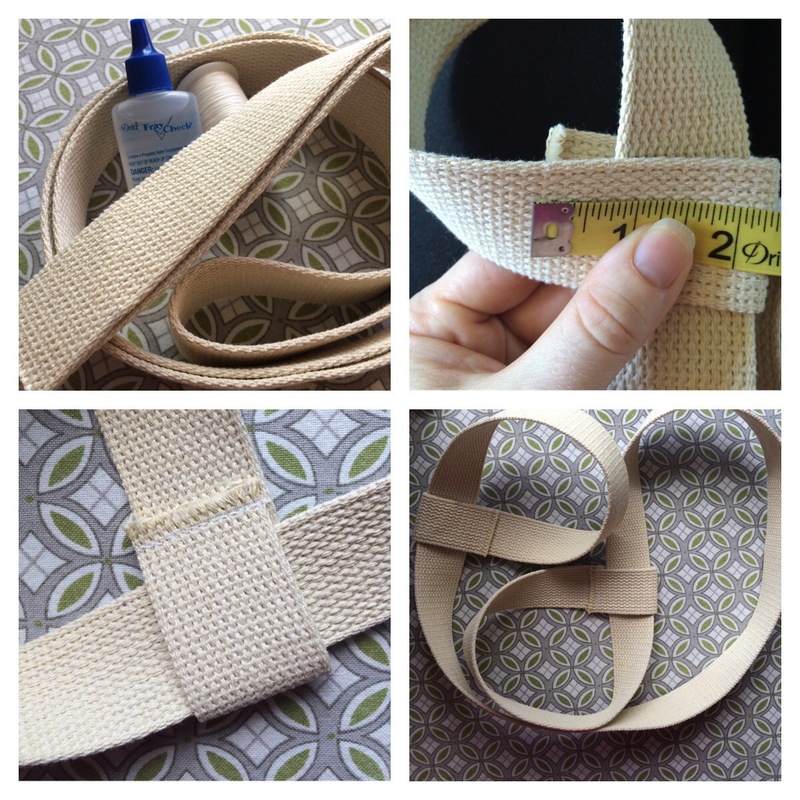 I purchased a yard and a half of a flat, woven trim since it would be easy to sew. I would avoid a rounded material since it will be much more difficult to sew easily. I already had the thread and fray check at home. Step one, fray check the cut ends of the trim. Follow the directions on the bottle, I had to let mine dry for an hour before it was ready to sew. Step two, wrap the end around to create a loop. You want enough space for the trim to easily slide so you can adjust the carrier around your mat. For my material, that is a two and a half inch piece on either side of the loop (see photo). Step three, sew! I did a simple straight stitch and doubled back over the whole seam to reinforce it. Goodness, now I cannot wait to go to class!